Today is all about ladies celebrating ladies and MY GOSH do we have some amazing women in our lives. Soft Landing is completely run by women (with a shout out to our great male board members and volunteers as well! ), but today we want to celebrate one girl boss that we are so grateful to know- the lovely Miry Whitehill of Miry’s List. It has been incredible to be inspired and supported by other groundbreaking organizations around the nation and Miry's List is one of the best “sisters” we could ask for. 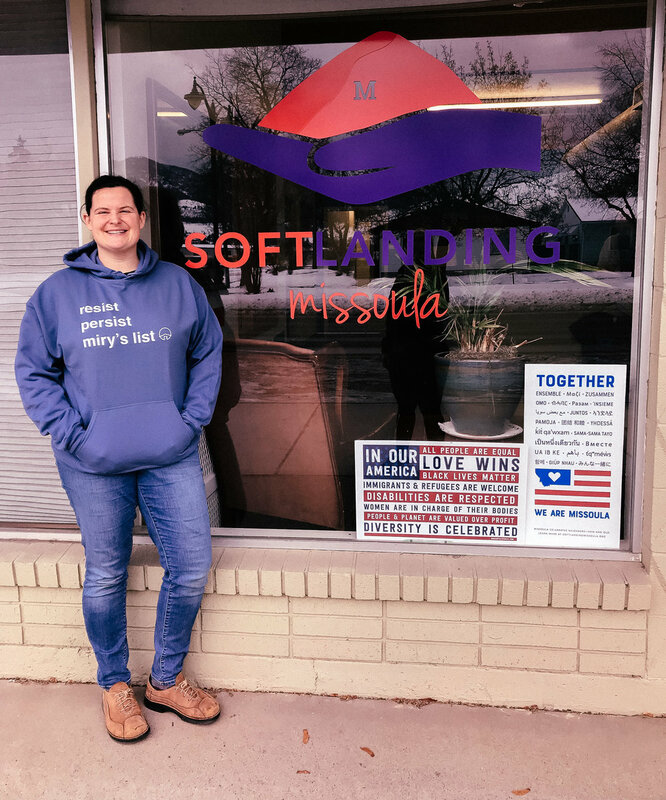 Miry is always a text away and has been a huge part of helping Soft Landing find our footing. We are constantly inspired by the work they do, the persistence they have, and the light they spread in their community and beyond. For Christmas, Molly got Mary the perfect present: a Miry’s List sweatshirt and she hasn’t taken it off since! Go grab yourselves one too! And while you're at it, go follow along with their journey, it's a pretty spectacular one. On this Galentine's Day, we celebrate the women who see a need and meet it. The women who are faced with a challenge and choose to share love. The women who know that supporting other women will raise everybody up. Happy Galentine’s Day, everyone! Today and every day, let’s celebrate the women who bring light to our lives. Spread the love today and always.